Carbon dioxide (CO2) emission control has been a popular topic since global warming affects our living conditions on the planet. Carbon Capture and Storage (CCS) is a feasible solution for mitigating the global warming effect by capturing the CO2 from power stations and industrial processes and storing them underground. There are great many of active CCS projects onshore. International Maritime Organization (IMO) has adopted guidelines for CO2 emission control by improving ship energy efficiency. The project is aiming to apply CCS on ships by capturing the CO2 emission from the engine exhaust gases and solidifying them for easy storage. It will enable ships to comply with various regional and international CO2 emission regulations and also maintain the efficiency of waterborne transportation. The simulation of carbon absorption is an important part of the project. The simulations are using ARCHIE-WeSt to solve the problem of computing intensity and time consuming. 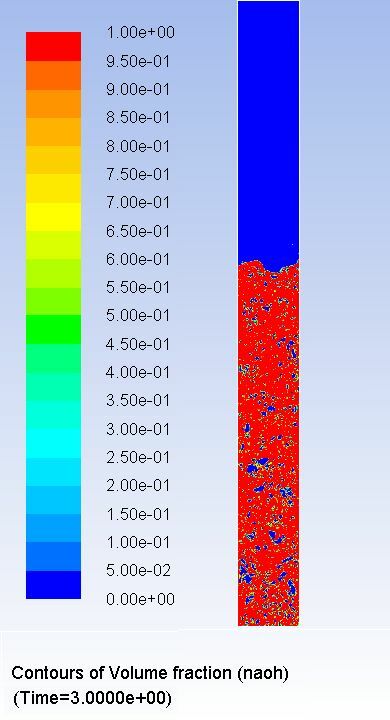 It helps to develop and investigate the multiphase reaction model in CFD software, focusing on bubble column effect with chemical reaction. Together with the lab experimental results, the simulation of absorption process is optimized by controlling a series of fundamental parameters. Based on the optimised parameters, a simulation for proto-type system of carbon absorption can be designed and conducted for a case ship. For more information about this project, please contact Prof. Peilin Zhou (peilin.zhou [at] strath [dot] ac [dot] uk), Professor of Marine Engineering, or Haibin Wang (haibin.wang.100 [at] strath [dot] ac [dot] uk), PhD student at the Department of Naval Architecture, Ocean and Marine Engineering at the University of Strathclyde.